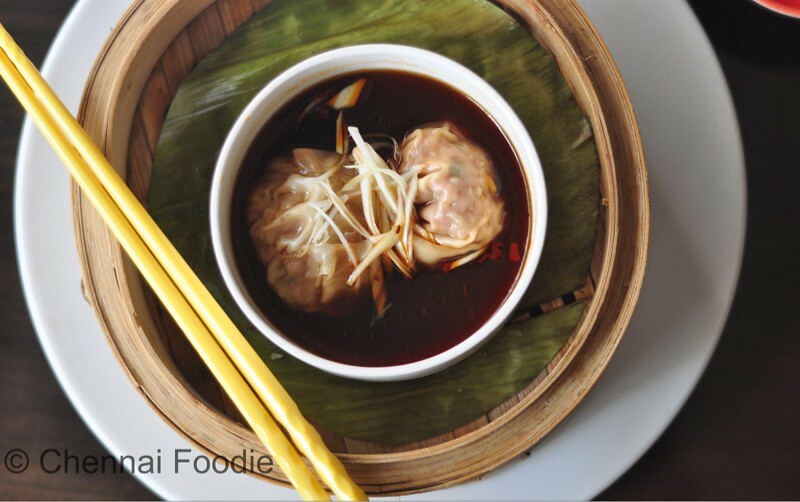 This time around, I got a facebook message from Marriott asking me to check out their dim sum festival and needless to say, I was more than excited. My history with Marriott started off pretty badly and stayed bad,before my previous visit to their Sunday brunch which I really enjoyed and wrote about. 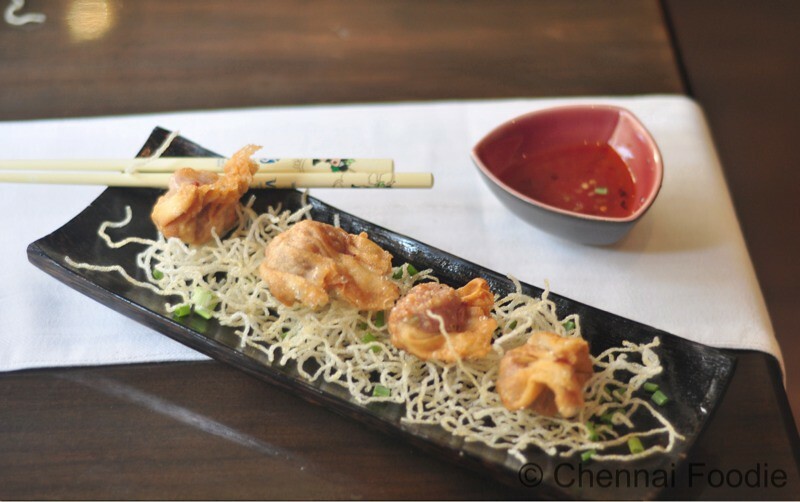 Chef Prathiba welcomed us and we were given an introduction to the world of dimsums. The restaurant was full to the brim and we could see dimsums being served all around us and this got the two of us really excited. She suggested that we go for the platter that will give us a glimpse of all the dimsums on the menu (they have 7) and we took the offer. So the platter arrived in typical bamboo cooking units with full steam inside. We were tempted to dive in right away without even taking pictures, but resisted the temptation. 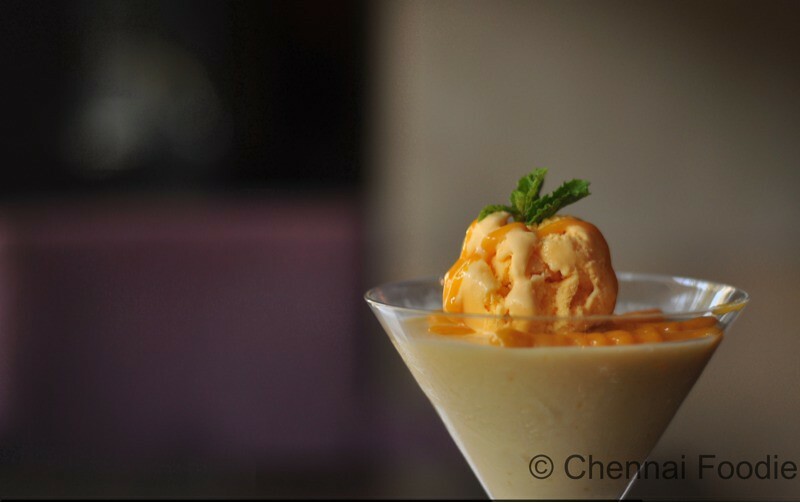 With the photo session over, we dove into what turned out to be utterly mouthwatering dishes. My favorite was the lamb dimsum which was unique to me as it was inside a bowl which was placed inside the bamboo cooker. 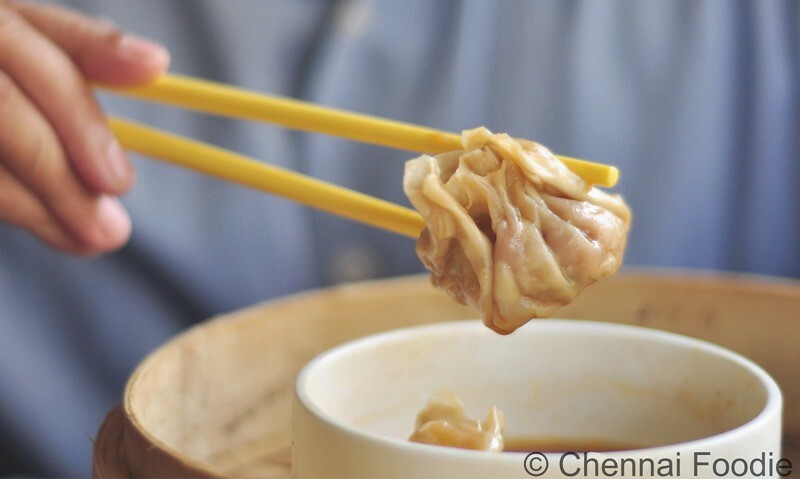 The dimsum was soaked in a chili soy sauce and was just too good. The prawn came next in my favorite list followed by the veg dimsum. The chicken dimsum was alright and was nothing special. Among the fried stuff, we had potato dumplings which were unique,while the chicken mutton mixed wanton was brilliant with it's sweet sauce and sheer quantity of meat in the tiny dimsum. To finish off we had the mango pudding with ice cream which as you can see from the picture, looked and tasted delicious and also a fried custard wanton which I thought was pretty good too. A portion of dimsum is priced at Rs. 275 and the desserts are similarly priced. Service cannot be judged in an invited review, but in my previous experiences, service has always been good here. The ambiance is chic and takes the definition of lobby cafe way too far as this place occupies the whole lobby, with almost no place for the hotel guests to sit around. 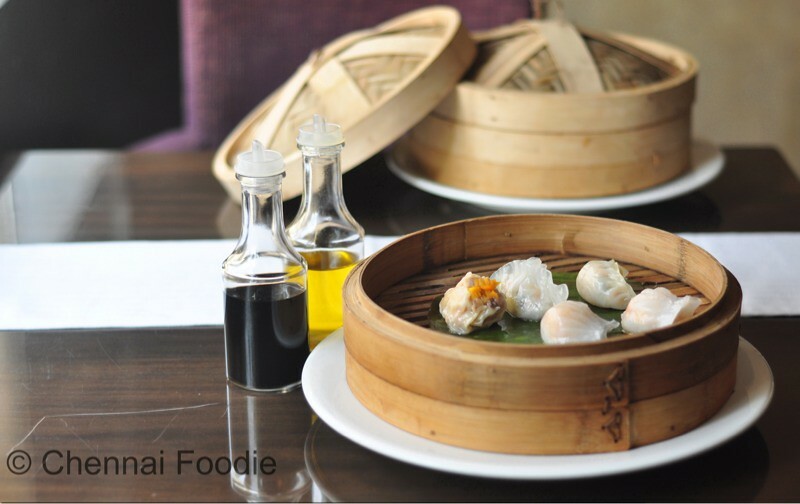 Paprika is the lobby cafe at Courtyard Marriott and the dimsum festival is on till the 15th of July.